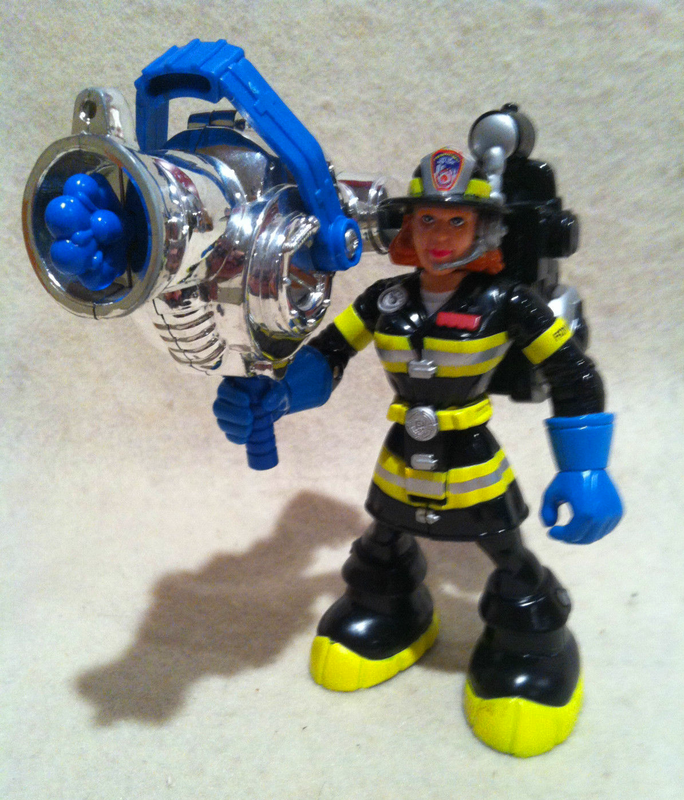 She's Fantastic: Imaginext Rescue Heroes WENDY WATERS! 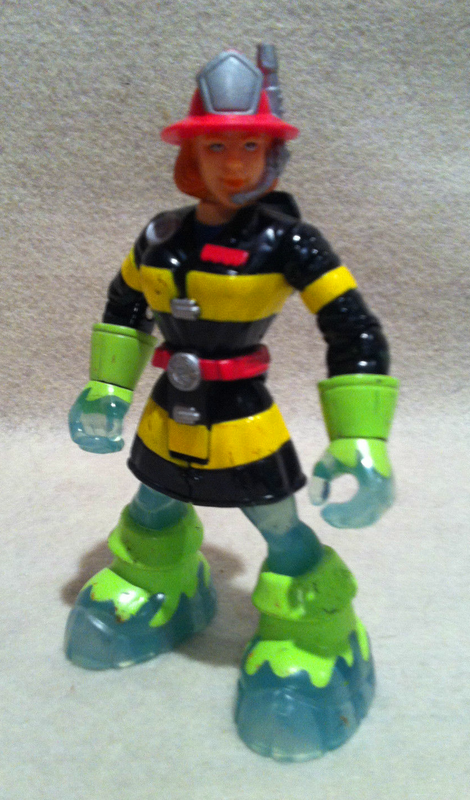 Imaginext Rescue Heroes WENDY WATERS! This little beauty is a very exciting figure for me. 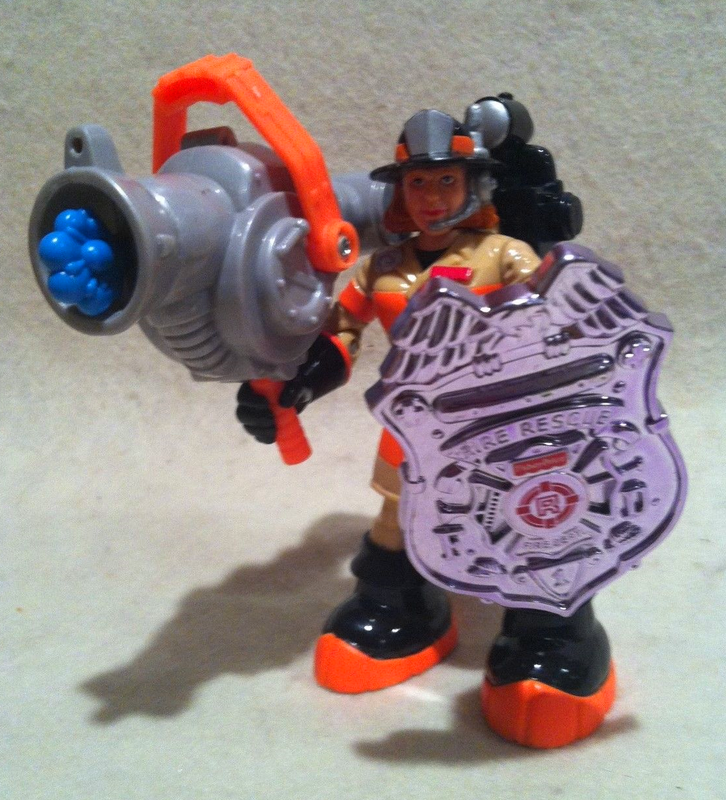 She marks the beginning of females in the main Imaginext line. Years ago we received two medieval characters - and more recently we've received a small collection of female superheroes. 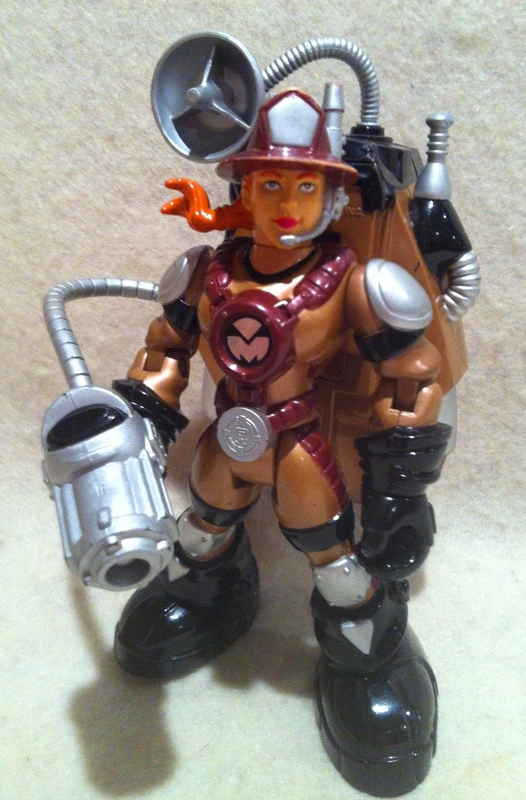 But the hugely popular Imaginext line was still glaringly devoid of the ladies Even though she comes packed in a huge playset, it's still a great step forward for the line. Everytime I head into Toys R Us or Target I check out that bright yellow section of the toy aisles to see if any new ladies have slipped in. When I found this set yesterday I actually tried to find evidence that it existed online with no luck. Sneaky sneaky. Now I can't wait to see if we get any females in future blindbag series. I foresee a witch and a Cleopatra-type in the next wave. Another cool thing about this figure is the fact that she is actually an established character with a ton of larger-scale 5" action figures produced already. 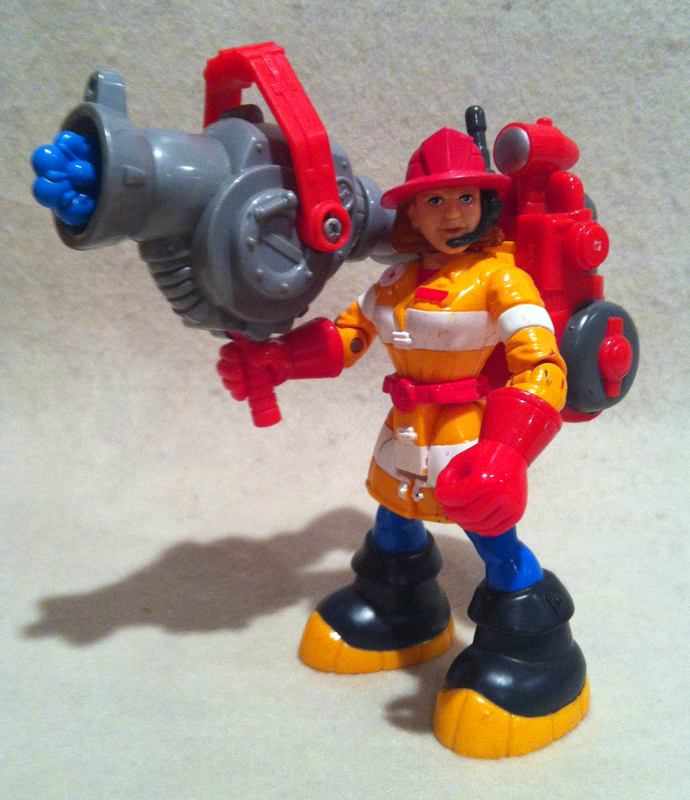 In my mind, that means we can expect the rest of the Rescue Heroes girls (Ariel Flyer and Maureen Biologist) in Imaginext form eventually. I can't wait. In the meantime, lets check out Wendy Waters below! 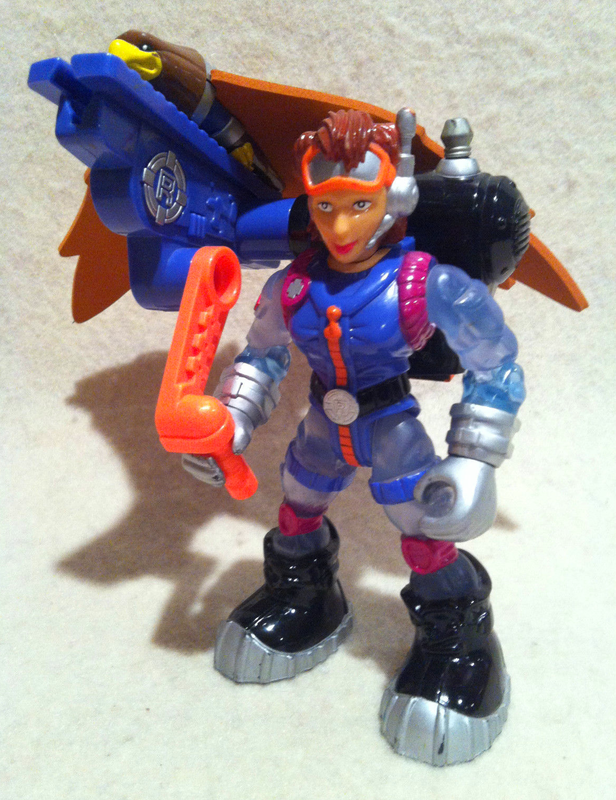 Wendy comes with a Billy Blazes action figure. The firehouse playset is surprisingly cool. It's hinged like Castle Greyskull - with a trap door, front doors that wind open slowly, a cool moveable ladder, and a working fireman sliding pole. Plus a car with a siren. She's articulated at the wrists, shoulders, neck, and hips. Here are some images of the existing 5" scale Rescue Heroes toys (this list is in no way complete.. they each have TONS of variations). This is awesome! I hope females start to appear in the blind bagged series as well! I know! 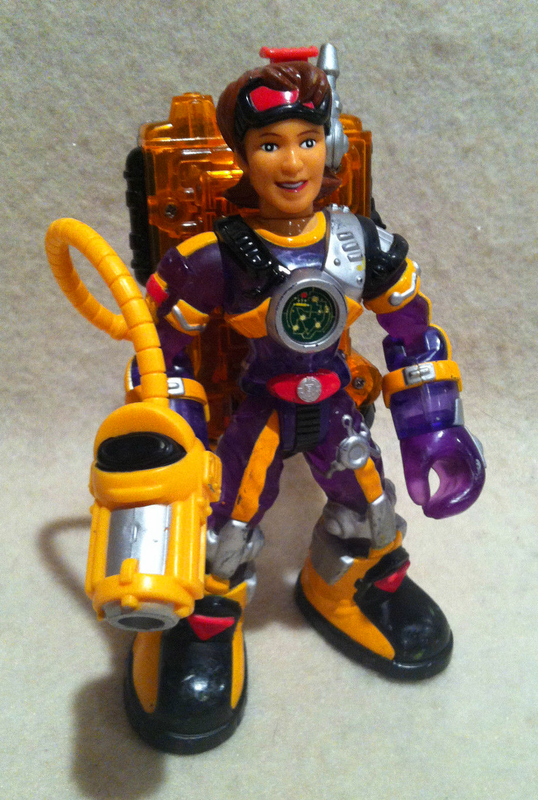 I'm also keeping my eyes peeled for Gemma, one of the main characters from the Imaginext cartoon. All the other (boy) characters have toys already so she's a glaring omission. Also.. I'm impressed that they used a new hairpiece for her. It's so similar to Wonder Woman's that they could've easily reused it, but also, it's all new. Anyway, did you know that besides the three women you mentioned (Wendy, Arial & Maureen), there are (sort of) three other RH females? 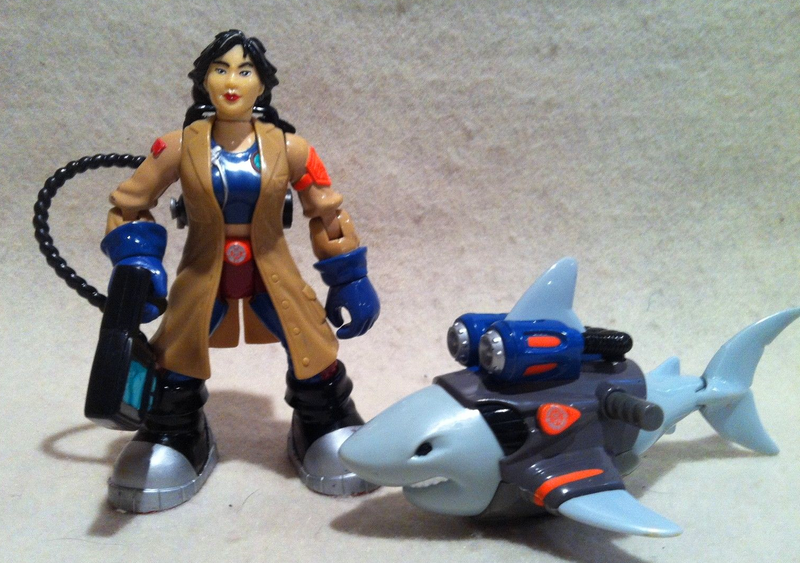 1: Mako (Maureen's shark) was at first refered to as her "great white girlfriend". However, later pachaging refers to her as a girl. 2: Jill Hammer (Jack Hammer's little sister) was on the team for one mission in a TV episode, but quit before her probationary period was over. 3: E-ject (Ariel's robot companion) possibly has female programming (whatever that means). Wow thanks for the info! I'm definitely not an expert in these characters but I love being as thorough as I can be.. so the details are much appreciated. I would have never known that E-jact and Mako were girls. Thanks!